There is no cure for multiple sclerosis (MS), and what treatments are available have yielded mixed results for patients due to a number of side effects. 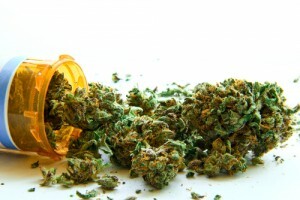 However, according to recent data, marijuana pills and sprays may bring some relief for MS sufferers. Multiple Sclerosis is characterized by an improperly functioning immune system. The immune system attacks the central nervous system rather than relaying proper messages. MS destroys the myelin sheath that insulates axons bringing about physical and cognitive loss. Symptoms include loss of balance, vision loss, bowel problems, slurred speech, numbness and pain. MS affects more than 2.3 million people globally. An expert panel from the American Academy of Neurology has reviewed more than 40 years of research on alternative therapies and found that medical marijuana pills and sprays may ease MS symptoms, while other treatments do little to lessen pain and muscle rigidity. Furthermore, experts also found that Ginkgo biloba may help with fatigue and reflexologyy, easing symptoms such as tingling and numbness and other skin sensations. Researchers also note that bee sting treatment and omega-3 fatty acids provide little evidence supporting their use. According to Dr. Vijayshree Yadav, clinical director of Oregon Health & Science University’s MS Center, in Portland and author of the new guidelines, “It’s a very common practice in the MS patient population to try alternative therapies. The problem is there was never an evidence-based recommendation for MS patients or those taking care of patients. This is a first step to educate each audience.” The new guidelines are available in the March 25 issue of Neurology. Researchers also point out that medical marijuana can generate serious side effects such as seizures, dizziness, thinking and memory problems, and depression. Depression is of concern because MS patients have a higher risk for depression and suicide. The panel of experts note that between 33 to 89 percent of MS patients make use of alternative treatments to manage their symptoms. This is particularly true for women, those with higher educational levels, and those reporting poorer health. Currently, the safety of the alternative therapies is unknown. Most of these treatments are not regulated by the U.S. Food and Drug Administration (FDA). Timothy Coetzee, chief advocacy, services and research officer for the National MS Society, who was not involved in crafting the guidelines, notes that the potential of marijuana and its derivatives as a therapy for MS symptoms is important. “I think it really emphasizes our approach to support the rights of people with MS to work with their doctors, recognizing that they need to do this in the context of the legal regulations of the state they’re in,” he said. Since Marijuana-based spray isn’t legal in the U.S., patients often get the spray from Canada. Dronabinol and nabilone (synthetic marijuana pills) are FDA-approved for nausea and vomiting associated with chemotherapy. These pills can be prescribed as an “off-label” use. Yadav notes that she was surprised to find MS patients benefited from magnetic therapy. There is some evidence that magnetic treatment reduces fatigue, however, it does not help with depression.